During the cold-war, this deep cave bunker was designed to house essential government systems in the event of a nuclear attack. 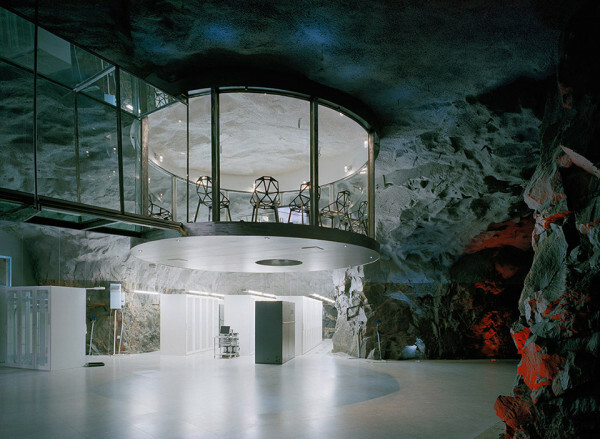 Today, this cave office in Sweden is now the headquarters of a datacenter that looks like the lair of a Bond villain. Not only is this one of the most remarkable workplaces we’ve seen, it’s also designed to be sustainable. It’s heated by the datacenter itself, it features plant-life as green accent walls and its electrical systems are efficiently integrated. It’s the kind of place where you could plot a world takeover– or perhaps work on some spreadsheets. That much is up to you.